On Friday 29 January 2016 I held my first WHSmith book signing event.It was a huge success and very well supported . The manager delightedly told me afterwards that I had outsold Mary Berry by three copies !! 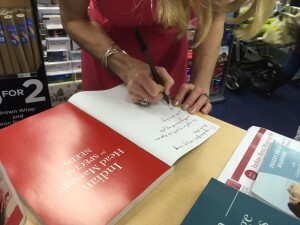 More WHSmith book signing events to follow shortly in Bath and Barnstaple !